Sizes are listed by weight. If you would like a recommendation about what size is right for your companion, we would be happy to assist you. 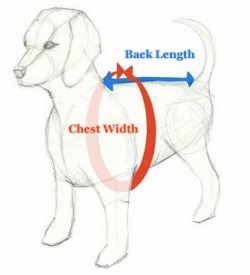 Measure your dog standing up. ​Dogs get longer when they lay down.